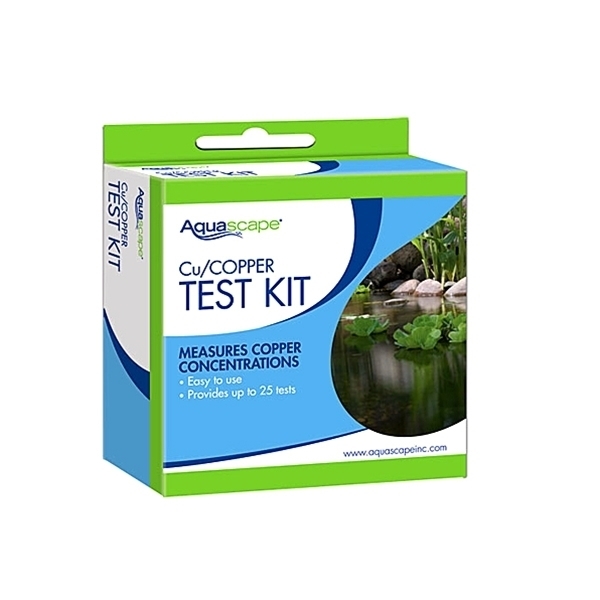 Aquascape Copper Test Kit measures dissolved or chelated copper concentrations in ponds and aquariums. This easy-to-use kit provides accurate, laboratory-quality testing that is simple to complete with the provided step-by-step instructions. 25 tests are provided with each kit and all necessary components are included. 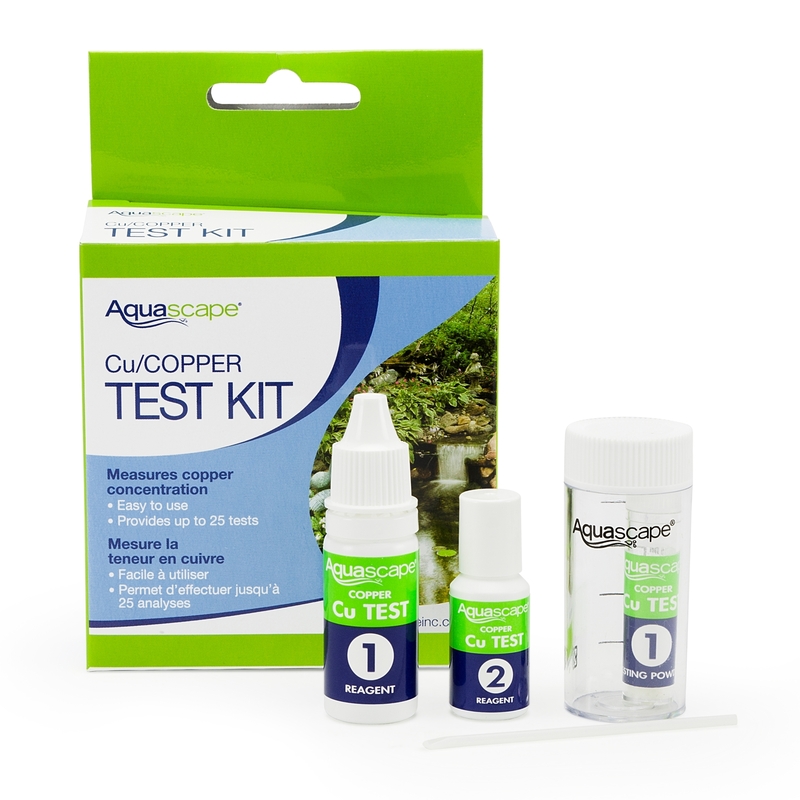 Copper is often used as a fish medication or algae treatment, and it is important to monitor these levels when using copper as a treatment. 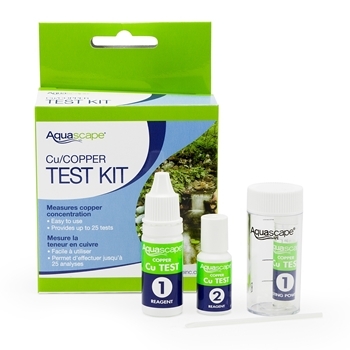 The Aquascape Copper Test Kit is also ideal for testing tap water or source water for copper.